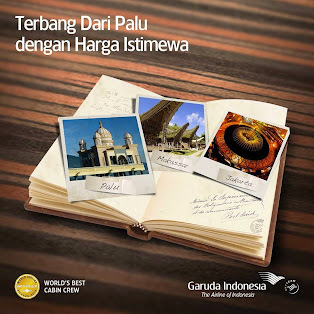 MAMLAKA INDONESIA: What destinations would you go to if you have a chance to travel with Garuda Indonesia? sebuah brand activation & event agency. What destinations would you go to if you have a chance to travel with Garuda Indonesia? Wanna experience our brand new B777-300ER. Welcome to the Garuda Indonesia Experience, where your convenience is our priority. These wide-body twin jets were set to enter the Garuda fleet from mid-2013. They carry 314 passengers, with 268 in economy, 38 in business class and eight in first class. The Boeing 777-300ER (Extended Range) can reach Europe non-stop. The Boeing 777 has a cabin of eight first class seats. 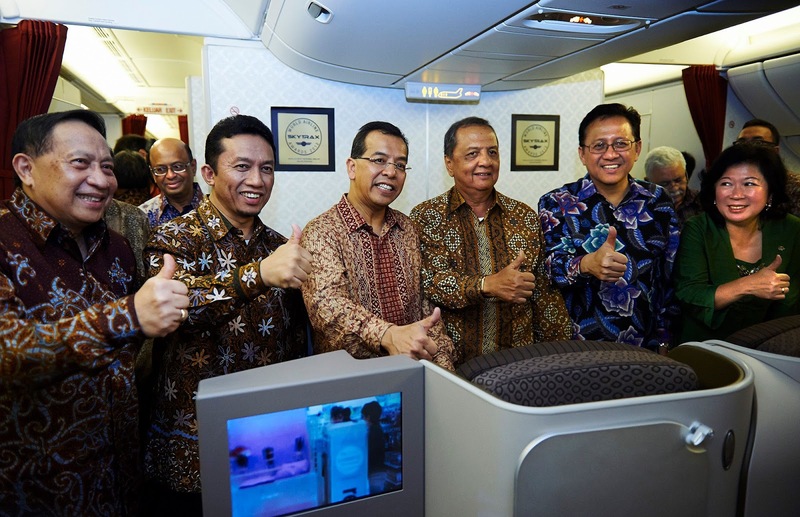 It is the only aircraft in the Garuda fleet with this product. The suites, which are enclosed with doors, convert into flat beds with an 82in seat pitch and 22in seat width. Each has a mattress. Suites have an Audio Video on Demand (AVOD) in-flight entertainment system, displayed on a 23.5in touch screen. 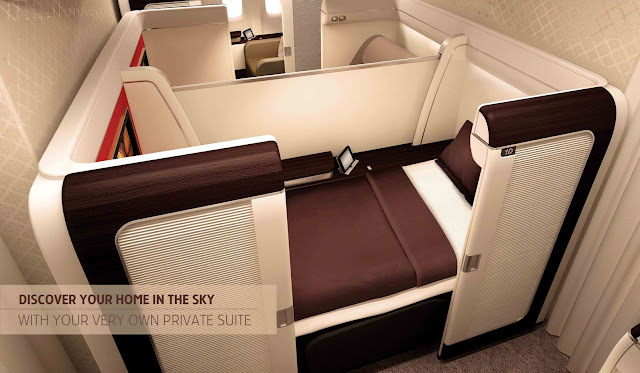 There is also in-flight connectivity (GSM & WiFi) including complimentary WiFi access. The personalised fine-dining concept includes an on board chef offering Indonesian regional festival dishes plus Japanese Kaiseki and European a la carte. Passengers also benefit from specially tailored luxurious amenities and receive special Assistance upon departure and arrival. There is a dedicated new First Class Lounge at Jakarta's Soekarno-Hatta International Airport (CGK), and passengers also have use of First Class Lounges of Garuda's airline partners worldwide. COPYRIGHT © 2014 MAMLAKA INDONESIA ALL RIGHT RESERVED. Tema Jendela Gambar. Diberdayakan oleh Blogger.